The entire career or William Sydney Porter (O Henry) as a writer spanned less than 16 years. And even after almost a century, his writings are as lively and entertaining as ever. He is one of the most loved short story writers. Porter had published more than 300 short stories- stories which virtually defined that form for many years to come. 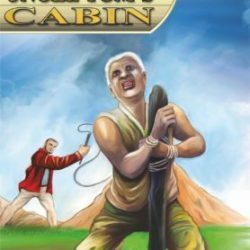 Porter’s stories are remembered for twist of plots and surprise endings. By any measurements one chooses to apply, qualitative or quantitative, William Sydney Porter should always occupy a unique place in American fiction writing. He deserves to be rediscovered by each succeeding generation of readers and scholars. In this collection, we present 100 best stories of O Henry. The stories are selected from The Four Million, The Heart of the West, The Trimmed Lamp, The Gentle Grafter, Strictly Business, Options, Six & Sevens, Roads of Destiny, The Voice of the City, Whirligigs and The Rolling Stones. All stories are complete and unabridged. Saki (Hector Hugh Munro) is best known for his witty, sometimes whimsical, often cynical and bizarre short stories. His best tales are often more macabre than Kipling's. In his early stories, Saki often portrayed eccentric characters, familiar from Oscar Wilde's plays. Saki's most frequently anthologized short stories are Tobermory', 'Sredni Vastar', 'The Unrest Cure' etc. He was a misogynist, anti-semite, and reactionary, who also did not take himself too serious. His stories, 'true enough to be interesting and not true enough to be tiresome', were considered ideal reading for schoolboys. However, Saki did not have any interest in safeguarding the Edwardian way of life. 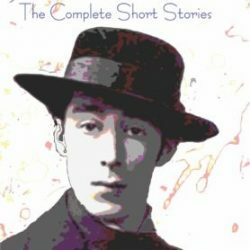 In this volume, we present a complete collection of his short stories. All stories are complete & unabridged. Price Rs 195. Special offer: Rs 146. Somehow or other I will be famous, and if not famous, I will be notorious', declared Oscar Wilde. He proved to be both. 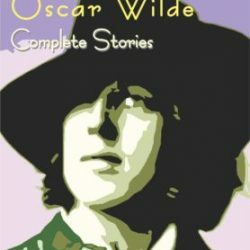 Oscar Wilde was a genius and he transformed his talent into his stories, plays and poems. The world in which Oscar Wilde lived was riddled with hypocrisy and he exposed it in his writings. His only novel, "The Picture of Dorian Gray' was published in Lippincott's Monthly Magazine in 1890 and provoked a storm of protest from the Victorian society. 'It is a tale spawned from the leprous literature of the French decadents - a poisoned book, the atmosphere of which is heavy with mephitic odours of moral and spiritual putrefaction', wrote the critic from the Daily Chronicle. Oscar Wilde wrote a preface, which appeared separately in the Fortnightly Review in March 1891. It contains the famous passage : 'Books are well written, or badly written. That is all'. This volume contains Oscar Wilde's only novel, 'The Picture of Dorian Gray' and all other stories. All stories are complete & unabridged. Short stories have always fascinated the readers throughout the world. Writers like O. Henry & Maupassant will be remembered for their short stories. 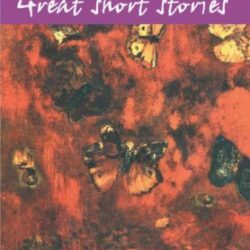 Now, we take the opportunity to publish a collection of 55 short stories by 55 great writers. This is certainly one of the most comprehensive collections of short stories as it includes almost all of the world's great writers. This volume contains short stories by Balzac, Anton Chekhov, Wilkie Collins, Joseph Conrad, Daniel Defoe, Charles Dickens, Dostoivsky, Conan Doyle, Alexandre Dumas, William Faulkner, Gustave Flaubert, E. M. Forster, Anatole France, Gogol, Oliver Goldsmith, Maxim Gorky, Thomas Hardy, Hemingway, O. Henry, Nathaniel Hawthorne, Henry James, M. R. James, James Joyce, Franz Kafka, Rudyard Kipling, D. H. Lawrence, Jack London, Somerset Maugham, Maupassant, Herman Mellville, Edgar Allan Poe, Poushkin, Saki, Walter Scott, Steinbeck, R. L. Stevenson, Bram Stoker, Rabindranath Tagore, Leo Tolstoy, Mark Twain, Voltair, Edgar Wallace, H. G. Wells, Oscar Wilde, P. G. Woodhouse, Virginia Woolf, Emil Zola & others. All stories are complete & unabridged. Total pages:560.